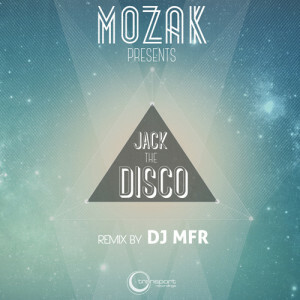 Following up on Mozak’s single “Up Beat” Transport is proud to present his new production, “Jack The Disco”. Featuring Mozak on two smooth laid back deep, layered and textured house versions while Transport’s very own DJ MFR offers a remix with a soulful feel, punchy bassline and a steady beat keeping this mix bumpin along nicely. Yet another great release from the Transport camp!